The human body is a wonder of nature, as it contains a multitude of complex systems and raw materials that work together to keep you alive. Each body is also unique and incredibly precious, but that has stopped people harvesting them for parts. This usually comes in the form of transplants of organs such as the heart or kidney as well as transfusions of blood and plasma. Those aren’t the only resources that can be taken from a human body though. Many people from a variety of cultures round the world have taken parts to create all kinds of weird and wonderful things. 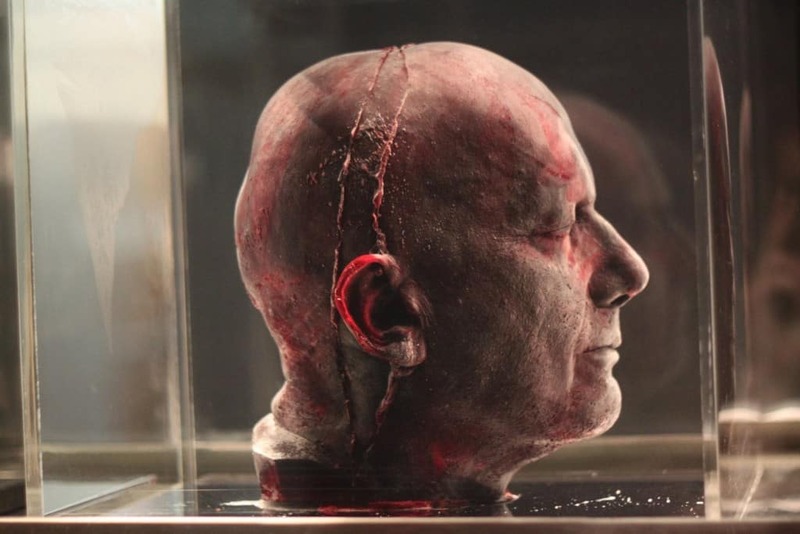 This grisly piece of artwork was the result of an experiment carried out by artist Marc Quinn to see if it would be possible to create a bust of his head using his own blood. In a process that took around 5 months, Quinn slowly extracted 5 liters of blood from his body and molded it around an outline of the bust. He then froze the blood so that it would keep its shape and remain in place, with the end result producing something that looks like it would be more at home in a horror film. Hairdresser Huang Xin spent months collecting the hair he had cut from his customers in Beijing before he finally used the material to build an exact replica of buildings in Tiananmen Square, including the Gate of Heavenly Peace. Using only glue and hair dye bought from local stores, he was able to complete the project in just a few weeks. Xin now plans to create portraits of his customers using their own hair. The Apex Predator suit is currently on sale by designer Fantich & Young and has been created entirely out of human hair. The fine black suit also comes with a pair of shoes that have been lined with teeth and glass eyeball trimmings. The designers claim they took inspiration from evolution and Charles Darwin to create a natural piece of clothing. 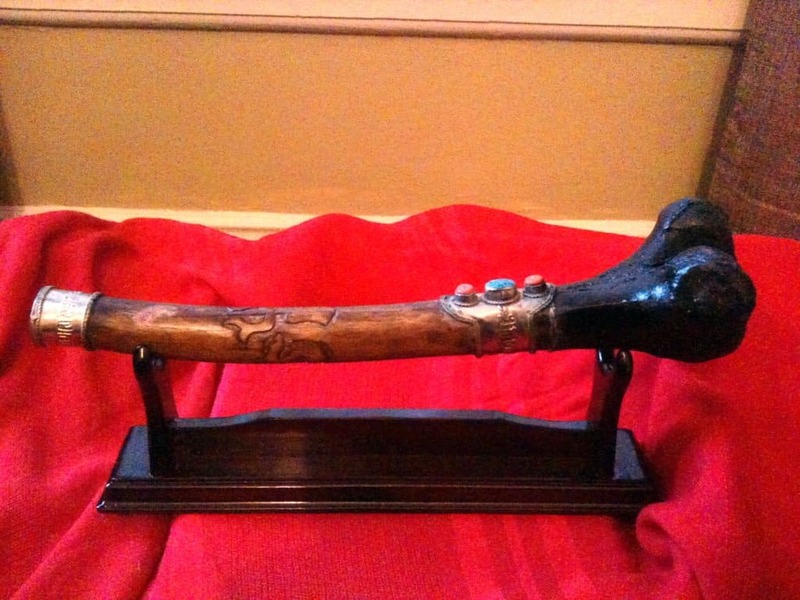 For hundreds of years, Tibetan monks have used human thigh bones to create a revered musical instrument known as the Kangling. Only those who had lived virtuous lives and died free of disease would be considered to be used, with the bone removed from the body and crafted into a flute-like instrument. The sacred piece of equipment is only used during specific rituals. A variety of movies have used real bodies and body parts in them as props. The vast majority of them have been horror films and have used the corpses to add realism to particularly frightening moments. The Texas Chainsaw Massacre features a number of dead bodies throughout the movie while the indie movie Unrest was shot in a real morgue and included a large number of different cadavers. A group of researchers in New Zealand created a green biofuel that consisted of a collection of raw materials, although chief among them was human fat. The fuel was used for an experimental boat and the crew had liposuction to help provide the fat that was to be used. 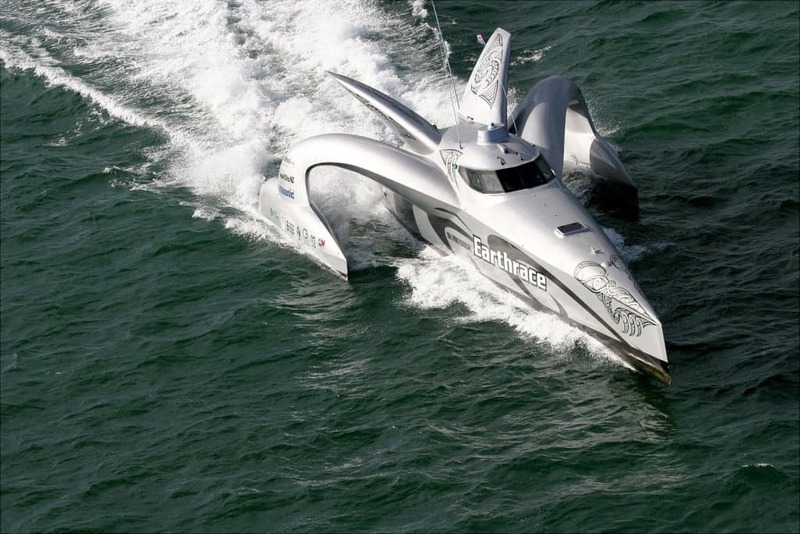 The boat then took part in the Earth Race using the human fat to power the boat along the way. There have been hundreds of medical uses found for all kinds of different body parts and fluids. One of the most commonly used is urine, mainly because it contains a rare chemical compound known as urea. It is a necessary ingredient in all types of medications and cosmetic products, though its most important use is probably in the fertility treatment Pregnyl. 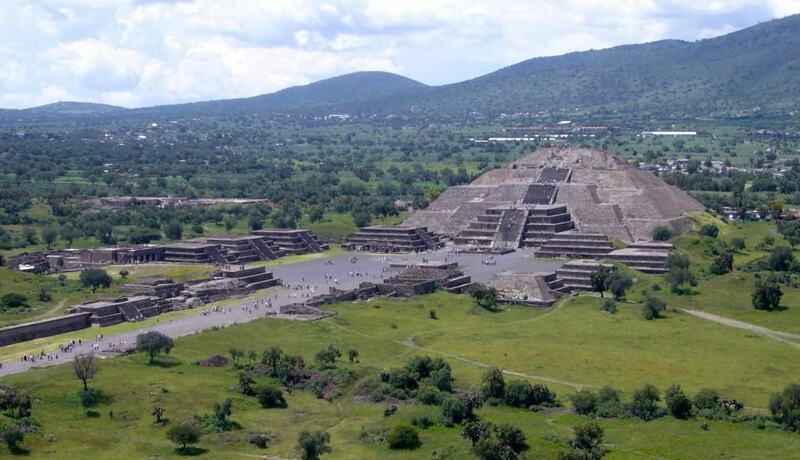 Residents of the ancient city of Teotihuacan, which pre-dated the Aztecs by hundreds of years, could not allow for any resources to go to waste. 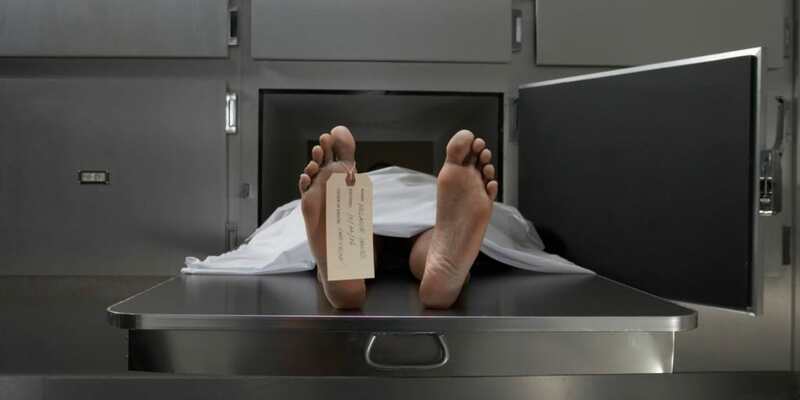 To that end, whenever a person died, they would descend upon the body as quickly as possible and remove all the flesh from the bones. This allowed them access to a strong and flexible material that they could carve into a variety of shapes, so that the bone could be used to create essential everyday items such as tools and cutlery. 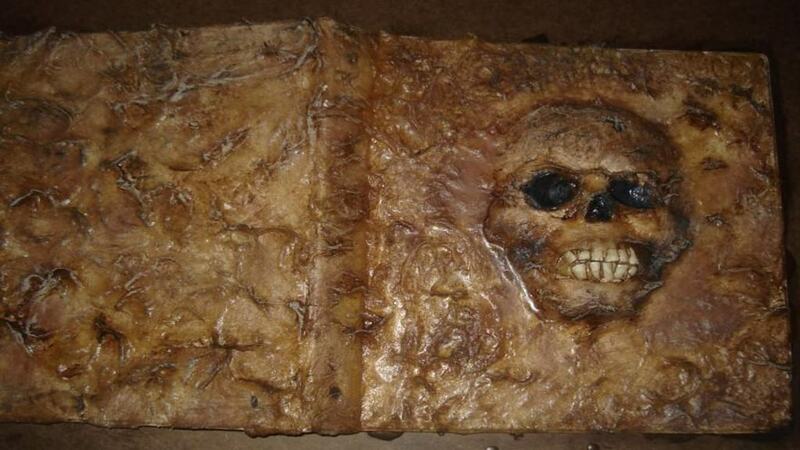 There are numerous examples of books that have been made out of human skin. Harvard University recently discovered a book that had been bound in human skin after forensic testing, while other libraries and museums around the world hold similar examples. The practice was particularly popular during the 19th century when people would create leather bound books out of the skin of executed criminals as a sort of talisman. The Sedlec Ossuary became an important church in the Czech Republic when it was blessed with soil taken from the Holy Land in 1278. This meant that people from all around Europe were interested in being buried there, giving the officials a difficult task of deciding where to put all the corpses. 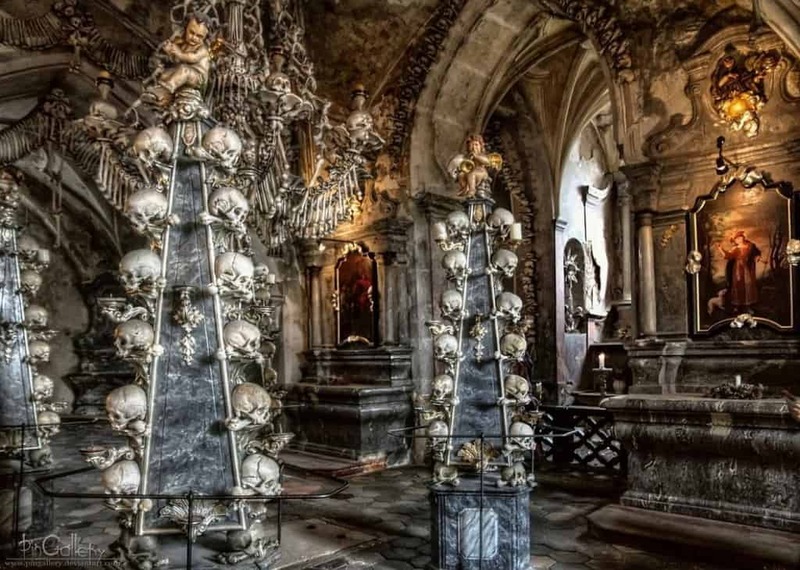 This led to a decision to use the bones from dead bodies to decorate the church, with artists using parts from around 50,000 people to create furnishings, coats of arms, and even chandeliers.